InFlight Corporation, LLC is a member of the Business-Critical SharePoint program run and operated by Microsoft Corp.
Easthampton, MA – InFlight Corporation, LLC, a Business-Critical SharePoint (BCSP) partner, is pleased to announce that a new case study featuring one of its customers has been published on www.microsoft.com/casestudies. Microsoft, InFlight and Summit 7 Systems worked together to write the case study, which describes how a BCSP solution from InFlight and Summit 7 Systems helped the Kentucky Community & Technical College System (KCTCS) build a better user experience, streamline business processes, and save money. KCTCS has been engaged in an ongoing institutional transformation focused on reducing costs, driving efficiency and evolving into an organization with truly unified shared services and systems. The transformation began by implementing a single production instance of PeopleSoft Financials to manage payroll and other core financial business data then grew to include PeopleSoft HCM to manage employee data, benefits, and records, and PeopleSoft Campus Solutions to manage enrollment, registration, class scheduling, grades, and transcripts. Blackboard was later delivered as the institution’s learning management platform and online learning environment. Despite these improvements, KCTCS still faced a major transformational hurdle. 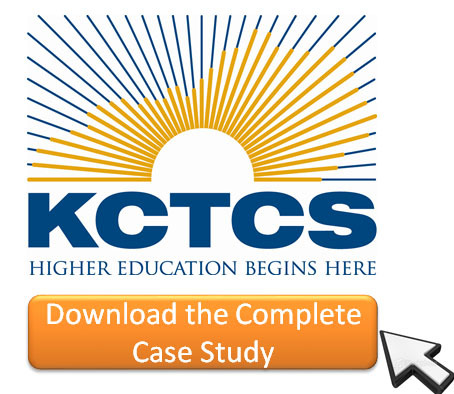 In terms of sharing and collaboration, KCTCS was still operating as 16 different college organizations. Intent on pushing the transformation to the next level, in 2010 KCTCS turned to Summit 7 Systems guidance. Summit 7 Systems discovered that employees had trouble finding even the most basic and routine employee information, such as policies governing travel expenses or paid time off. Complicating matters, each of the 16 colleges had developed its own file sharing and methods of collaboration. Outside of its shared line-of-business systems to maintain Systems of Record, there seemed to be no common approach to doing business or business process. Meanwhile, end-users complained that PeopleSoft was inflexible, slow to evolve, and difficult to use. Users found even simple tasks, like locating and viewing personal leave accrual balances, were cumbersome and time-consuming. Summit 7 Systems worked with KCTCS to design and implement an engaging employee portal on SharePoint 2013 that would bring everybody together on a single system. This included taking advantage of the collaborative, document management, and enterprise search capabilities of SharePoint 2013. It also included integrating PeopleSoft Enterprise HCM into the portal with InFlight. InFlight enables customers to extend any piece of data or functionality from PeopleSoft into SharePoint. Unlike web services, InFlight takes advantage of the PeopleSoft functionality KCTCS already had implemented by allowing it to display pieces of the PeopleSoft UI, directly on a SharePoint page. Using InFlight, KCTCS is able to bypass cumbersome PeopleSoft navigation and take users directly to the functionality they need, saving them time and frustration. KCTCS also uses InFlight to skin, shape, and completely modify the way PeopleSoft is presented in SharePoint while InFlight single sign-on preserves the existing PeopleSoft security roles and permissions. The look and feel is so seamless that employees don’t even recognize they’re using PeopleSoft. For more information download the complete case study here. InFlight fully integrates data and functionality from Oracle and Blackboard applications into SharePoint. InFlight installs in hours and makes it easy to extend PeopleSoft and JD Edwards manager and employee self-service functionality into SharePoint. Complete with single sign-on, InFlight gives you complete control over the presentation of Oracle data and functionality in SharePoint. Integrating Oracle applications into SharePoint with InFlight improves the user experience and drives portal adoption while giving you the opportunity to deploy Oracle functionality to iPads and tablets. Free trial available. For more information call 1-800-853-7505 or visit www.inflightintegration.com. Summit 7 Systems is a team of business and technology experts that empower you to overcome any barrier between your organization and success. We are a Microsoft Certified Partner with multiple Gold competencies specializing in the Business Productivity infrastructure — including SharePoint and FAST Enterprise Search. The solutions provided by the expert team at Summit 7 Systems improve the efficiency of collaboration between your business units and provide a user friendly experience for locating the relevant information within your organization. For more information call 256-585-6868 or visit www.summit7systems.com.